Helping Hands for Hank is an organization made up of family and friends, formed to offer financial aid and support to now 15 year old Hank Gibbs as he fights Parry Romberg Syndrome, a rare, incurable and progressive auto-immune disease that causes half the face to "waste" away. Hank had his first surgery on July 2, 2009, and his first revision on December 2, 2009 Both surgeries took place in New York City. Hank had another surgery on July 20, 2010, again in New York City. Everything went well, although a bit more involved than we expected. 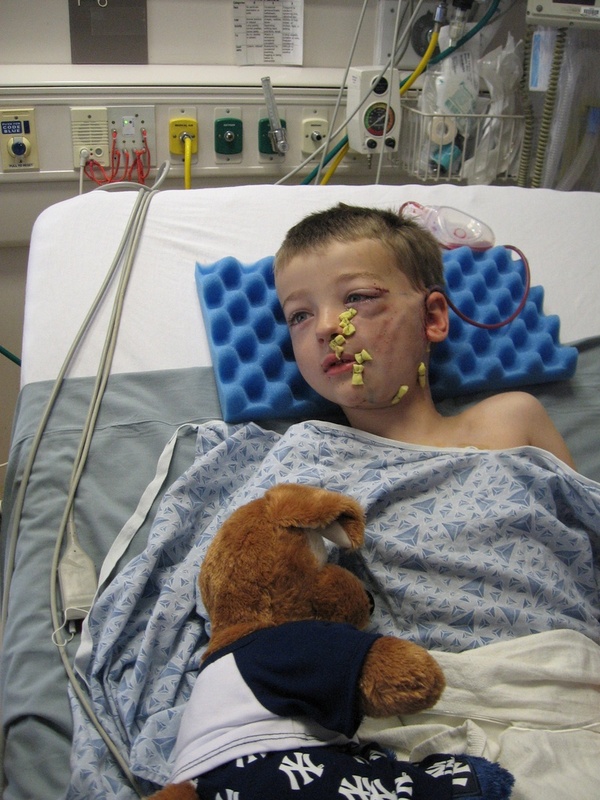 Hank had his fourth surgery on October 3, 2012 at the American Children's Hospital at the University of Wisconsin in Madison. Hank recovered well and went right back to school. His surgeon was able to see his facial bones and said they are straight and unaffected by the disease and there was no PRS present at the time of surgery! After a year of watching to see if things would get better, Hank underwent another surgery in June 2014. This surgery really improved the symmetry of Hank's face. We hope that this is the last surgery. In 2016 and Hank was doing great, entering high school, running track and cross country and feeling good. He has been well adjusted and happy and successful in his academics. In October, Hank started to notice that as he is growing, his face had flattened under his eye and he asked for a tissue revision. Hank had surgery on July 7th in Madison, Wisconsin and everything went well. We knew this was a "fix" until he could have bone surgery for his cheekbone, to support his eye. Sadly, this surgery did not last long...and we have had to look at different options. It is now 2017 and Hank is scheduled for surgery in mid-June. This surgery will take place in Seattle and will involve a cheekbone implant. This is the first step in rebuilding his face, after the damage left by PRS. Because Hank was so young when it started, his bones did not grow. If all goes well, Hank will regain his cheekbone, which will support his eye! We are anxious and eager about this one...as it could change his life for the better! Please think good thoughts and prayers for Hank as we prepare for this new path in his journey. We are with a new surgical team that specializes in craniofacial surgeries. Although Hank will be in good hands, they are different hands and we are a bit nervous... Stay tuned! Parry Romberg Syndrome is an extremely rare, progressive, "incurable" auto-immune disease which causes "hemi-facial" atrophy; meaning it causes half the face to "waste" away. Every case is different and symptoms can vary. These symptoms include facial atrophy, debilitating migraines, tooth loss on affected side, ADHD, seizures, strokes, loss of vision on affected side and other neurological problems. The disease is so rare that there are less than 1,500 known cases worldwide. Of course there may be many more cases that have gone undiagnosed. The odds of having PRS is approximately about a one in 6,000,000 chance. (if you consider the world poplulation) Research is limited and treatment options vary, with no "sure things." Parry Romberg's is a disease of "unknown origins" and therefore there is no known cure. However, there is a surgery known as a "tissue transfer" which has been shown to stop the facial atrophy. And some people have had successful results from methotrexate and steroid therapy. For more information, please check out our "links" page. World Rare Disease Day was February 28, 2014. We were very excited to be invited to speak at Hank's school in honor of the event! We asked all the children as well as our family, friends and supporters, to wear GREEN in honor of Hank and Parry Romberg Syndrome! 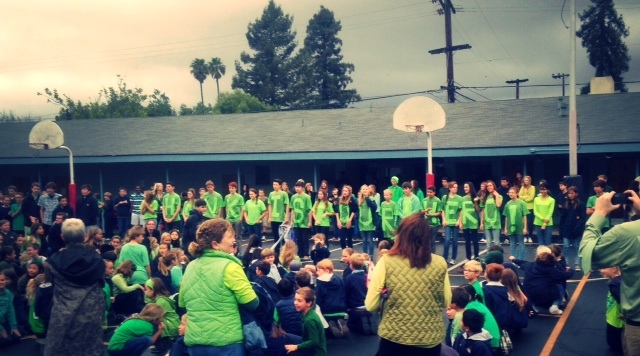 Those wearing green sent their photos (and you still can at: [email protected] and we will post them here on our website...or you can join our Facebook group, "Helping Hands for Hank" and post photos there) We are thrilled that the school created their own sea of green! We were overwhelmed when the 8th graders stood up and showed us their green, spelling out the words, "Hank is our Hero!" Thirty million people around the world suffer from a rare disease. Having rare disease usually means there is no cure...because it's rare, research funds aren't available to find a cure, so the people have to endure through many health issues...treating only the symptoms. It's just like putting a bandaid on an enormous wound. By calling attention to Rare Disease Day, it is our hope that we will shine a spotlight onto PRS and get the research we so desperately need. 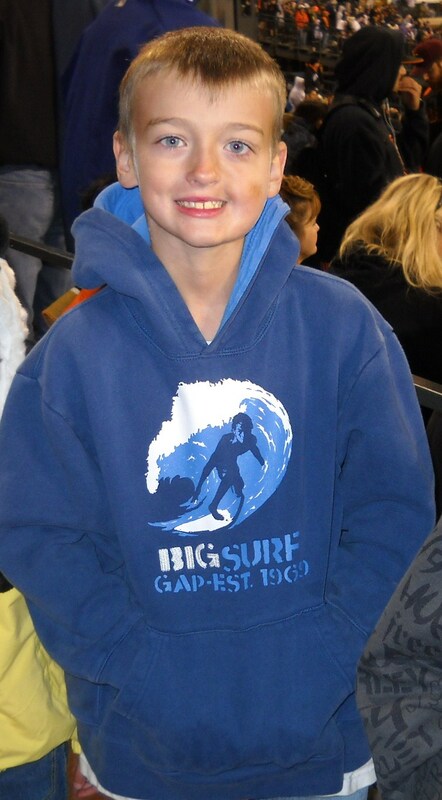 Hank's life changing surgery was performed July 2, 2009. And here is Hank one year later! Emotions run high as we remember all that Hank has endured! You are a trooper Hank and we are so proud of you!